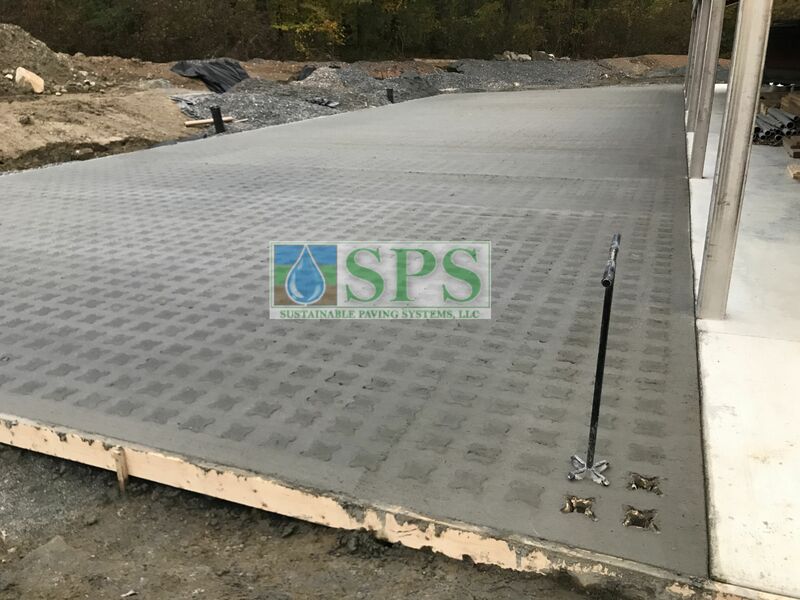 This project won the 2018 Bomanite Gold Award for Best Grasscrete Project installed by Premier Concrete Construction. This backyard, adjacent to an Artists/Musicians studio located in Massachusetts, required an access area to accommodate large delivery vehicles. More importantly, it required a permanent solution to storm water management and yet still maintain landscape aesthetics necessary to help nurture the creative minds of the occupants. 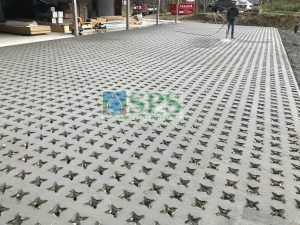 Grasscrete was the perfect Pervious Concrete solution. 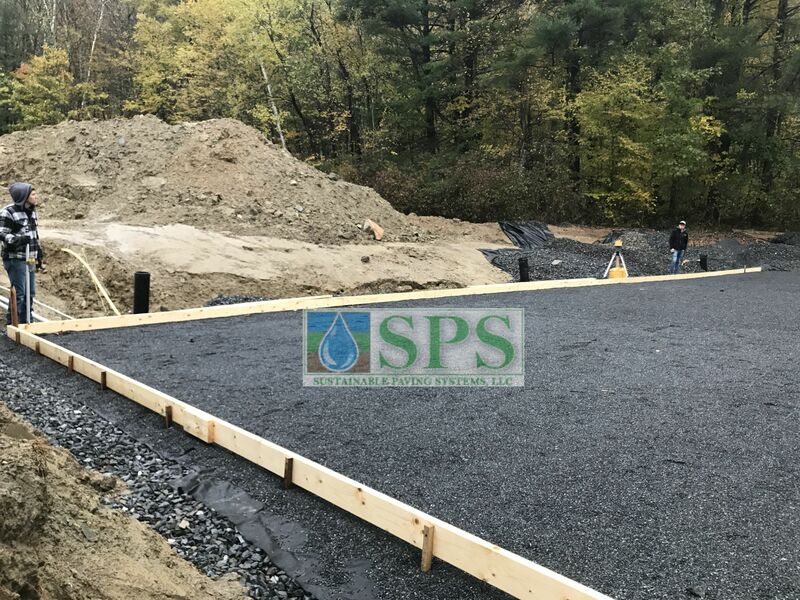 Not only can Grasscrete augment the landscape architecture and handle the storm water of this project, but has the added benefit of a very long lifespan. The project incorporated 3,000 square feet of Grasscrete. A subbase was prepped to facilitate storm water management via proper drainage and to create the outer forms of the project. 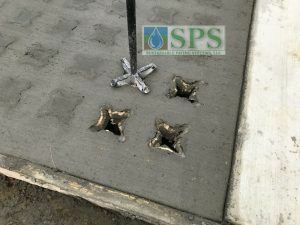 Next, the single-use Molded Pulp Formers were placed with rebar in both directions which gives Grasscrete the highly desired characteristic of being continually reinforced. 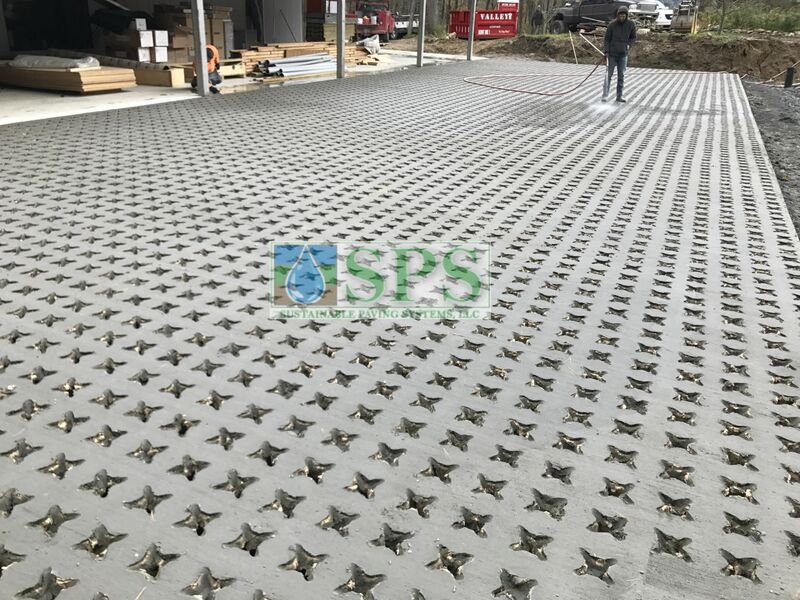 Special attention was needed to ensure the straightness of the formers because any misalignment will be magnified by any rows of grass planted into the voids. This is critical prep work before the concrete pour. The concrete is then poured, leveled, broom finished, and allowed to dry. 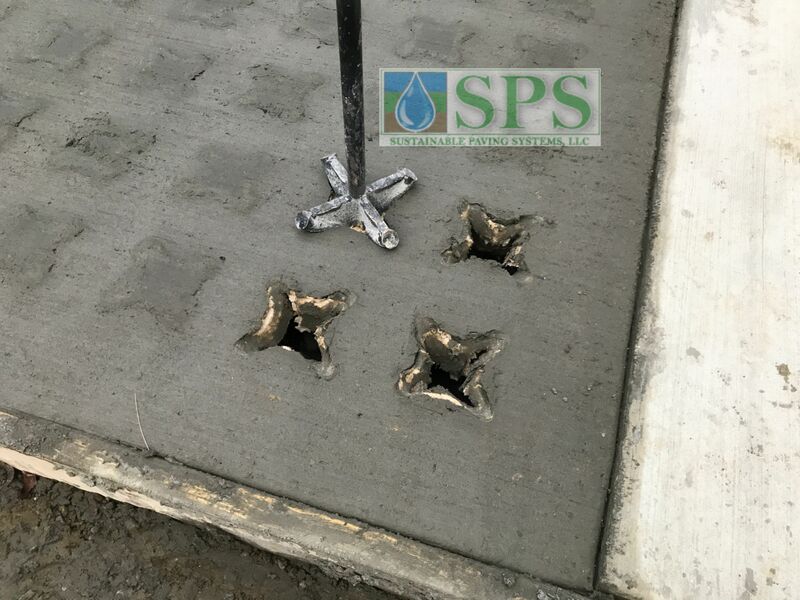 Here is a close-up of the Punch Tool used to punch through the layer of concrete on top of the formers and into and through the top of the Molded Pulp Formers to create the voids in the dried concrete. 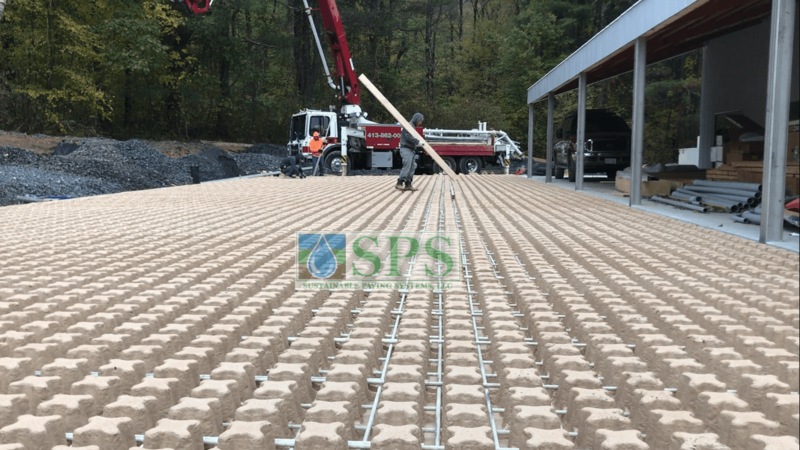 The voids become the mechanical system that creates the Pervious Concrete and are designed in a highly defined and regular manner. 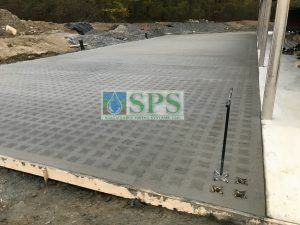 Grasscrete is commonly known as Void Structured Concrete. Pictured is a wide view of the dried concrete on Day 2 before the voids have been created. A crew systematically punched out the voids with the Punch Tool and put the finishing touches on the entire project. To gain a full appreciation of the process, watch the time-lapse video of the installation of this project below. The Molded Pulp Formers are biodegradable. To clean up the project and to initiate the biodegrading process, after the voids were punched, the entire project was pressure washed. 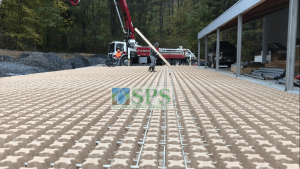 Grasscrete is an environmentally friendly Pervious Concrete solution. What’s next for this project? 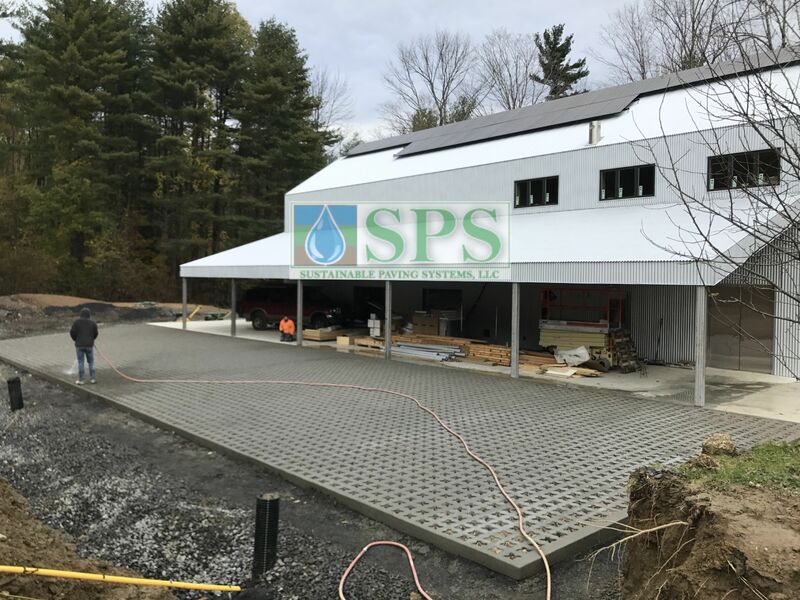 At the time of installation, the owner was contemplating having half of the Grasscrete fully Concealed and the half closer to the building Partially Concealed. Watch the time-lapse video of the installation of this project.